Below is what guests are writing about their stay at The Pines Country Inn. All are excepts from our Room Journals. 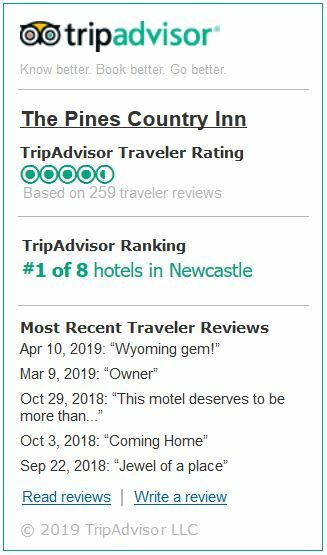 For more reviews from The Pines Country Inn visitors, please visit Trip Advisor, Google Reviews and Yelp. If you’ve stayed with us, we welcome your review on these sites!